Here are some ideas on where to live in San Diego’s walkable 55 plus communities or somewhat walkable 55+ communities in San Diego that are near several shops, dining, etc. The amount of walking required to get to places without a car in these San Diego plus communities vary depending on the level of fitness and or what is an individuals’ definition of a truly walkable community. There are only a handful of 55 and over places where you could live without a car for basic conveniences like grocery stores and dining. And even these communities do not score high on WalkScore given their own set of criteria. You will still need a car for a lot of other things – and such is the reality of retiring or living in San Diego County. Other options to supplement accessibility to places include hiring an uber taxi, senior center services, and some public transportation. The list below will give your best bet for San Diego 55+ communities that are either walking distance or realistically a very short driving distance to many convenient places that one needs for basic living. Avante at Del Sur is San Diego’s new walkable 55 and over community built in 2018 with low maintenance condos and smart home features. You could go without a car in this master-planned community and walk a couple of blocks when you want to visit a nearby grocery, store, and a few restaurants. Nearby stores that you can walk to within a few blocks from Avante Del Sur include Sprouts Farmers Markets in Del Sur and a Target Store that services the Del Sur area. See our Avante Del Sur video to see a sample of other places you can walk to. More information on Avante at Del Sur – San Diego 55 Plus Community. Note: Another nearby newer San Diego 55 plus community called Auberge Del Sur is located a couple of miles from Avante Del Sur. In coastal North County San Diego, you will find Lakeshore Gardens, a Carlsbad 55 plus community that is one of the most walkable 55+ communities in the entire county. 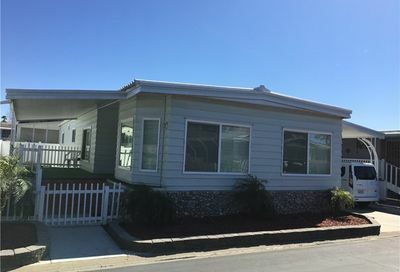 Lakeshore Gardens is a land leased senior mobile park in Carlsbad California that is located right across grocery stores, shopping, and dining spots. As an added bonus, you are also within walking distance to the beach! Park Encinitas on El Camino Real in Encinitas California is another walkable 55+ community that is near all major shopping, businesses, restaurants, and medical centers on El Camino Real. Trader Joe’s is within short driving distance ( or walking distance depends on who you ask). Rancho Escondido is also another walkable 55+ community located near stores, dining, and near the freeway 15. Champagne Village in Escondido is within the Lawrence Welk area resort that has shopping, theatre, restaurants, farmers market, and golf. Seven Oaks is a 55+ community in San Diego that is within walking distance to some shops, restaurants, Starbucks. Oaks North is a 55+ community in San Diego that is within walking distance to golf, a few shops, and the Rancho Bernardo Winery. The homes in Lake San Marcos are also near shopping, stores, and restaurants, including golf and many amenities within Lake San Marcos. 55+ Homes in Lake San Marcos can be found at Sun Park, Hunter Valley, and Chateau Lake San Marcos. Peacock Hills 55+ homes are walkable to a school and dining spots with nearby grocery stores and shopping. You may also want to check out all other possible walkable communities by clicking this link.